When Barack Obama needed a place to stay ahead of his move to the White House, he chose the Hay- Adams. So do most of the country’s political elite visiting Washington. And it's not just because of the looks... Located just off Lafayette Square, a stay at the Hay-Adams is as close as it gets to world power short of staying at the White House itself. .. The designs befit its address. More upscale residence than a hotel, The Hay-Adams is as cozy as it is elegant, with oil paintings, walnut paneling, crystal chandeliers, and fireplaces wherever you look. Rooms are elegant and echo Old World charm with their decorative fireplaces and intricate crown moldings. For a wow-factor at your window, the Federal Suite's unobstructed view of the White House is the one to pick. While you’re here, the hotel’s Off the Record bar where Secret Service agents and the biggest movers and shakers of Washington are often seen unwinding over drinks is a must. Don’t forget your camera. With its red velvet walls, clubby feel and eccentric caricatures of political figures- past, present and fictitious- there is no watering hole more Instagram-worthy. The intimate lounge, Off The Record, with caricatures and coasters of famous politicos, past and present. The custom-made complimentary bicycles for guests to enjoy their own tour of the city. The luxurious guest rooms, with select options overlooking the White House and Washington Monuments. Complimentary use of the fitness room and business center. Complimentary daily turndown service, including bottled water. Complimentary Tesla house car for downtown transfers on a first-come, first-serve basis. Complimentary daily newspaper of choice. It is a marvelous Hotel with a stunning atmosphere. It's my favorite in D.C.
Beautiful and elegant hotel. Service was impeccable. Concierge in particular: Liere Falcon -- fantastic. Room was beautiful, comfortable, elegant -- the feel of staying in someone's home. A lovely gentle hotel with attentive and very personal staff. We will be back! An outstanding experience, the best hotel we stayed in in the USA on this trip. The staff were a delight and attended to our every need quickly courteously and with good humour. Excellent hotel with a friendly yet professional staff. We felt right at home. The manager and all the staff was especially nice, showing real interest in our activities and offering help and advice. We were allowed to safely store our rented bikes. 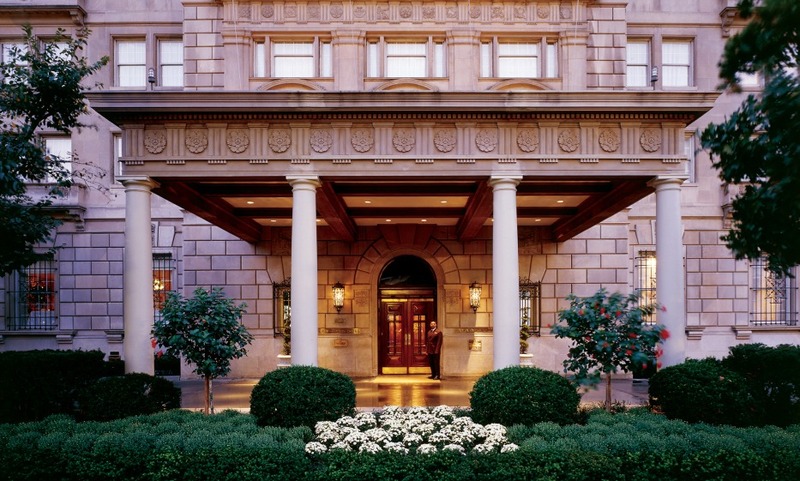 We will certainly go back to the Hay-Adams hotel for our next visit to Washington D.C.